Welcome back to the third installment in our series on installation and use of the Asterisk@Home PBX. Don't start here. Start with Part I and Part II because we're assuming you've already done all those things. Then move on to Part IV after you finish this article. Today we'll cover a few more setup suggestions for your Asterisk@Home PBX, and then we'll turn our attention to some Asterisk® Tips and Tricks that should mesmerize even your non-techie friends. If you've followed along this far, you know what a complex undertaking it is/was to get Asterisk@Home put together. These guys could really use any small donation to purchase additional hardware for testing and further development of future releases. Just click here for more info. Configuring Ring Groups. If you did any exploring at all this past week, you probably have already figured out what ring groups are and how to configure them. A ring group acts like any other Asterisk extension number except it rings a collection of Asterisk extensions which you specify. If you dial a ring group number, it will ring all of the Asterisk extensions associated with that ring group. The only gotcha here is one of syntax, and this only becomes important when you start writing your own Auto Attendants or IVR applications. But you need to know it anyway. Using the syntax Dial(SIP/200), you can only ring extensions, not ring groups. If you want to be sure your command works correctly to call either an extension or a ring group, use this syntax: Dial(local/200@from-internal). Don't ask me why. To actually create and configure Ring Groups, go into Setup of AMP and click Ring Groups. The Add Ring Groups screen appears. For the group number, provide the number you want to dial for this ring group. For the extension list, put one Asterisk extension number on each line. The caller-id name prefix is optional. Choose the amount of time you want this ring group to ring, and then pick an option for what should be done with the call if no one answers. Save your settings by clicking the Submit Changes button, and then click the Red Bar to reset Asterisk with your new ring group. One important use of Ring Groups is to ring all or a collection of phones throughout your home or office with incoming calls. You can specify the ring group to use during business hours and afterwards on the AMP->Setup->Incoming Calls screen of Asterisk@Home. Just point your web browser to the IP address of your Asterisk server. Music on Hold. Nothing adds that professional "phony" touch to your PBX quite like Music on Hold. Lucky for you, Asterisk@Home comes preconfigured with everything needed to make Music on Hold work out of the box, even music. Ever mindful of the copyright laws, of course, you can create your own Music on Hold libraries by uploading MP3 files using the On Hold Music option within AMP. Whenever you place a call on hold by pressing the switchhook on any phone or the Hold key on business phones, your callers will be serenaded by the default Music on Hold collection. Directory Assistance. It may not be quite as high tech as Ma Bell's system, but Asterisk comes with a directory assistance service that's nothing to sneeze at. Just go to AMP->Setup->General Settings and specify how you want names looked up in the directory (first name, last name, or both). Then all your local users can get directory assistance by simply pressing the # key. Callers outside your system can press the # key during any voice prompt to access the directory. We'll show you how to build these scripts in a future column. Wakeup Calls. Just like the finest hotels, you now can order up your very own wakeup call from any Asterisk extension. Just dial *62 and key in the time for your wakeup call. Use military time, e.g. 5:00 pm is 1700 and 8:00 am is 0800. At the appointed time, your phone will ring and, when you answer, the soothing sounds of your favorite Music on Hold will play ad nauseum. If you happen to get a fast-busy signal, it's probably because *62 hasn't been enabled in extensions_custom.conf. Follow the directions in the Call Your Friends section below to edit this file, find the 3 lines toward the top of the file that begin with exten => *62 and remove the semicolon at the beginning of each of the three lines. Click the Update button and then restart Asterisk as explained below. Setting Up Asterisk Extensions to Call Your Friends. One of the really cool things you can do with your very own PBX is make up extensions which automatically call all your friends just by spelling their first names using the touchtone keys on your phone. For example, to call Mary, you create an extension 6279 which forwards calls to this extension number directly to Mary's cell phone. To set these extensions up, you have to get your hands a little dirty and edit the extensions_custom.conf file which is part of Asterisk@Home. Here's how to do it with your web browser. Type in the internal IP address of your Asterisk server to access AMP and then click on the Maintenance tab. Use maint for your username and whatever password you set last week for your Asterisk accounts. When the Maintenance window displays, click on the Config Edit option, and you'll be presented with a list of all the configuration files for Asterisk@Home. Now click on extensions_custom.conf to open the file in a window. You'll notice that the first section of the file is labeled [from-internal-custom]. These are called contexts in Asterisk. Move your cursor down below the include statements in the from-internal-custom context and press the enter key a few times to open up some blank space. Now type in a line that looks like the exten expression shown below. Instead of 6279, use the numbers that correspond with your friend's first name. And then plug in your friend's phone number in place of 6783214567. Add a comment after the semicolon which shows the name of the person associated with this extension. You can add as many of these as you like. Just make sure they don't conflict with actual extensions you've set up on your system. And keep the length of the extensions to six characters or less. Otherwise, Asterisk will try to place the call directly through BroadVoice. Remember the dialing rules we set up last week. Seven digits or more means send the call directly to BroadVoice for processing. Notice the @bv syntax. That tells Asterisk to place the call using a context called "bv" which was the context name we associated with the Outgoing Calls section of the BroadVoice SIP trunk we created last week. Email Forwarding of Voice Mail. If you're as big a fan of Google and GMail as we are, then you probably have been following the rumored developments with Google Talk. The good news is that much of what many suspect Google is about to do (click on the inset and find out for yourself), you can do today with Asterisk@Home. And within a very short time, you can expect to connect your Asterisk box directly to Google Talk. For now, just be glad you've already installed Asterisk. When you're out and someone leaves you a voicemail message, Asterisk@Home will let you forward that voicemail message to your email address as a .wav file which can be played within most email client software. Or you can have Asterisk@Home send an instant message to your cell phone or pager telling you who called, what their phone number was, and how long a voicemail message the person left for you. Or you can do both. In addition, you can tell Asterisk@Home whether to delete the voicemail from your Asterisk server after sending it to your email account. In short, you now can manage all of your incoming email and voicemail from a single place, your email client. In order to send out emails from your Asterisk@Home server, you'll need to make two changes. First, make this adjustment to the /etc/hosts file on the server. Since anonymous emails are blocked by most ISPs, you'll need a fully-qualified domain name for your server. The easiest one to use is the fully-qualified domain name that your ISP assigns to the IP address for your broadband connection. Don't forget to update it when your ISP changes your IP address. To find out what your fully-qualified domain name is, go to a command prompt on your Asterisk server and type: nslookup 123.456.789.001 substituting your public IP address for the preceding numbers. Then write down the name entry without the trailing period. Now edit the hosts file: nano /etc/hosts. Move the cursor to the line which begins 127.0.0.1, and then move the cursor over the first letter of the first domain name shown, usually asterisk1.local. Now type in the fully-qualified domain name you previously wrote down and add a space after your entry. Save your settings: Ctrl-X, y, enter. Now restart network services on your Asterisk machine: service network restart. Second, go into AMP->Maintenance->Config Edit->vm_general.inc with a web browser. Change the serveremail entry to your an email name at the fully qualified domain you used in your /etc/hosts file above. Then save your configuration and restart Asterisk. If you continue with this setup and still don't receive emails, here's another configuration change that is sometimes necessary. On the Asterisk terminal, log in as root. Switch to the directory where the SendMail configuration file is stored: cd /etc/mail. Make a backup of the config file: cp sendmail.cf sendmail.cf.bak. Then issue the following command: echo CGasterisk.dyndns.org >> sendmail.cf. Substitute the actual domain name of your Asterisk server for asterisk.dyndns.org, but be sure it's preceded by CG with no intervening spaces.Then restart your server: shutdown -r now. To configure the voice mail forwarding options, go into the Setup tab of the Asterisk Management Portal using a web browser. Click on Extensions and then click on an extension you already have configured. In the Voicemail and Directory section of the form, enter either (or both) your email address and your pager or cellphone's text messaging address. To email the voicemails as attachments, just click Yes beside Email Attachment. To delete the voicemail message from your voicemail inbox after sending it to your email address (not recommended until you first get it working correctly), click Yes beside Delete Vmail. Doesn't get much easier, does it? If you want to customize the email message which is sent, just edit vm_email.inc from AMP's Maintenance->Config Edit screen using your favorite web browser. Phone Home. Inspired by ET and the Coors reminder (see inset), we wanted a way to have our Asterisk system call us while we were on the road and provide dialtone to make international calls ... to hail a cab. Remember, it's free with BroadVoice's $19.99 World Plan. So we put together a little web application (actually a PHP script) so that, using a web browser on the road, you could tell your Asterisk server to call you and provide dialtone to any number you specify. The only prerequisite here was that we didn't want to sell the farm, i.e. provide free dialtone service and unlimited international calling for all the world's hackers and crackers. We also didn't want to have to go through a bunch of authentication steps to access the web site and put the call in motion. So here's the design. We have a PHP script which you can download here. It needs to be renamed to callme.php. Then copy it into the /var/www/html directory on your Asterisk server. You'll also need to tell your firewall/router to route HTTP or port 80 traffic to the internal IP address of your Asterisk server. This is usually done under the Services or Rules menus on most routers. You√¢‚Ç¨‚Ñ¢ll want to specify that all port 80 traffic be allowed through the firewall all of the time. Be sure you've changed ALL of your Asterisk passwords before you do this! To use this script from the Internet, you'll probably want to have to have a more permanent fully-qualified domain name associated with your Asterisk server. We explained here how to do this using dyndns.org. The syntax is as follows: http://asterisk.dyndns.org/callme.php?number=sip/bv/4045551212 where asterisk.dyndns.org is the fully-qualified domain name for your Asterisk server and 4045551212 is the area code and number where you wish to accept a call with dialtone. Nothing else needs to be changed. To dial a local extension, use this syntax: http://asterisk.dyndns.org/callme.php?number=sip/204 where asterisk.dyndns.org is the fully-qualified domain name for your Asterisk server and 204 is the local number to ring. Beginning on the first ring, Asterisk will start prompting for a password. It doesn't care whether the call is answered or not, and it times out after 10 seconds. After three unsuccessful password attempts (each timeout counts as 1), Asterisk hangs up. Stated another way, you have about 30 seconds to enter your password after the phone first rings. Then Asterisk disconnects the call. To enter your password, key in the touchtone numbers which match the numerical password code you specified in your [callout] context (see below). Then press the pound (#) key. Note that a web page will not display at this web address unless you enter the portion of the address following the question mark. Nor will a call be placed unless the sip/bv/ syntax precedes a phone number. We did this for security reasons. Before the above script will work, you also need to add the following context to the bottom of the extensions_custom.conf configuration file discussed above. Make sure you change the password 24681234 to something very secure. After all, it's your phone bill! Once you make this change, it won't take effect until you restart Asterisk. The easiest way to do that is to access setup within AMP, click Incoming Calls, then click the Submit Changes button, then click on the red bar which appears. Count to 10 and your changes should be operational. Update. 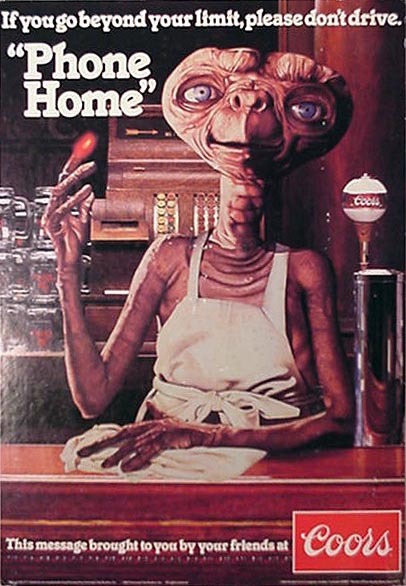 The Phone Home article has been updated since this was published. The updated article provides setup instructions for three DISA alternatives. You can read all about it here. Unlimited Calls For Free With Nextel. If you're one of the lucky ones that subscribes to Nextel's "free incoming calls" plan with web Internet service, then you obviously can use the Phone Home trick above to never again pay for an outgoing call. Just use the web browser on your Nextel phone to connect to the link shown above, and your Asterisk server will immediately call you back with outgoing dial tone. Local Weather Forecasts with Asterisk@Home. One of the really neat things Asterisk can do is run Perl and PHP scripts which gives Asterisk almost limitless expandability. A fellow named Mark Johnson wrote one that goes out and collects your local weather forecast from the National Weather Service when you dial a certain extension, *61 in the case of Asterisk@Home. As installed, you get the forecast for New York City, but it's easy to customize it for any big city near you. First, using an FTP client go to ftp://weather.noaa.gov/data/forecasts/city, click on your state, and write down the name of one of the cities or towns displayed. Now go to your Asterisk server, log in as root, and change to the Asterisk scripts directory: cd /var/lib/asterisk/agi-bin. Make a backup of the weather.agi script just in case something goes wrong: cp weather.agi weather.agi.bak. Then edit carefully the weather.agi script: nano weather.agi. Use the cursor to move down 8 lines to the line which reads: my $custpath = "city/ny"; and, using the delete key, delete ny and replace it with your state's two-letter abbreviation, e.g. ga for Georgia. Be careful you don't erase either the trailing quote or the semicolon. Next, move down to the next line and replace newyork.txt with the name of the city text file within your state that you found on NOAA's FTP site, e.g. atlanta.txt. Finally, move down 4 lines and replace New York with the actual name of your chosen city and state, e.g. Atlanta, Georgia. Now save the file: Ctrl-X, then Y, then press the Enter key. Now give it a try. Just dial *61. If you happen to get a fast-busy signal, it's probably because *61 hasn't been enabled in extensions_custom.conf. Follow the directions in the Call Your Friends section above to edit this file, find the 3 lines toward the top of the file that begin with exten => *61 and remove the semicolon at the beginning of each of the three lines. Click the Update button and then restart Asterisk as explained above and try your call again. If it still doesn't work, chances are there is a typo in either the city or state entry you made in weather.agi. Want some more Tips & Tricks? Here's a great place to start your search. Coming Attractions. Next week we'll devote most of our attention to installation and configuration of Sipura's SPA-3000 for use with Asterisk. At under $100, the SPA-3000 is one of the best telephony inventions ever. Unfortunately, the documentation for the product isn't worth a nickel;, but we'll fix that. The SPA-3000 does three things and does them all well. First, if you want to connect your existing home or office Ma Bell phone line to your Asterisk server so that incoming calls to your regular phone line can be managed with Asterisk just like your VoIP line, then the SPA-3000 is the way to go. It provides the best voice quality period. Second, if you want the flexibility and redundancy of having a Ma Bell line to place outgoing calls (especially for 911 service), then the SPA-3000 is just the ticket. You even get failover protection when your Internet service croaks. Of course, our power fails a lot more often than our broadband connection. For those that are interested, here's our take on the FCC's 911 debacle. Last but not least, if you want to connect a 5.8 GHz wireless phone set to your Asterisk PBX for use throughout your home or office, the SPA-3000 is a must-have. For more information on wireless phone sets, take another look at Part I of this series. And check out the incredible VTech i5871 (see inset) which we'll also configure next week to use with Asterisk. If you want to order an SPA-3000, the Voxilla Store is the cheapest source at the moment. You'll also get free BroadVoice setup and a month of free service with your purchase. As much as we like Voxilla, don't get sucked in to their $9.95 Priority Support "to [i]nsure your device is up and running in the shortest time possible." We tried it twice and usually got a cryptic email response which said something like "that's not covered in our basic installation support." In short, it's priority support when you order it, and it's (very) basic (or worse) assistance once you need it. I'm reminded of Mark Twain's comment about bankers: "A banker is a fellow who lends you his umbrella when the sun is shining, but wants it back the minute it begins to rain." Then, in our final column on Asterisk (not really! ), we'll walk you through setting up an Auto Attendant and Interactive Voice Response System with Asterisk. And we'll also spend some time showing you how to use Asterisk's built-in tools to block sales and political calls and even calls from old girlfriends. But why would you want to do that? Have a great weekend. Great articles. Can’t wait for the next column. Is it possible at all to have several Auto Attendants? Suppose I have voice T1 and bunch of numbers, number A is called and the caller will be sent to Auto Attendant A, number B is called and the caller sent to AA B? Wonderful series on asterisk@home! Please keep them coming. This info actually helped me get it running (unlike the sourceforge site). is it possible to have asterisk@home play music on hold to the person while the phone rings the party so for example if a person presses 1 to reach me or 2 to reach my friend etc etc they will hear music while it rings the extention? thanks hank I saw pt3 and am going to read the other parts to see if you discuss nat issues that is what I am up aggenst now anyways thanks for these awesome tips. Security Update: There appears to be a potential security issue allowing the "local" syntax as part of a callme dial string. The problem with the local syntax is that a caller can jump out of the authentication process by pressing # even before properly authenticating. So, I’ve added code to block that syntax in the dial string. You can still enter something like "number=sip/200″ to send dialtone to a local extension. For users in canada specifically vancouver, do you have any suggestion for a voip provider that will work with this setup. In part I, you mentioned that the ideal extension numbers are between 1000 and 1199. In this part (Part III), you advice us to keep an extension number to under six digits. Is it becuase Asterisk treats extension numbers more than 6 digits differently? The reason I ask this because I have many 7-digit extensions and it messes up the display in FOP panel: The 7-digit extensions appear under "Trunks" – mixed with other trunks, and some incorrectly. I would very much appreciate if you can demystify the numbering of extensions and how they "interfere" with other numbers such as IVRs and US 7- and 10- numbers. Thanks. First, I’m sure you get it all the time I have to thank you for your AWESOME blog about Asterisk. It is the clearest and most helpful instructions I have yet to come across for Asterisk. I have a quick question: Does that little PHP script you wrote for Asterisk to call a number and provide a dial tone only work with a trunk using SIP? I have tried using it through my IAX-based trunk using goiax, and I have not been able to get it to work. Is there something different to be done in this scenario? Thank you so much!!!! This is an extremely helpful Blog you have going here. I find it amazing what can be done with this free software. Now onto my question(s). Using AAH, can you set up several DID’s that then route to unique schedules and if the time of the call is during normal hours, it would then forward to a Queue? As an example, if the telephone numbers are 0123456789 and 9876543210 and the call comes into 0123456789 it would direct it to schedule A. Then if the time of the call being placed is during "open" hours, it would direct to Queue 1. On the other hand, if 9876543210 is called, it would then forward to schedule B. If the time of the call being placed is during "open" hours, it would direct to Queue 2. Your assistance is greatly appreciated. When do you expect that the articles on call routing and queues will be completed. I am very interested in this feature yet I am not advanced enough to perform the tasks. I would greatly appreciate any assistance you can provide on this issue. Thank you again for this extremely helpful "blog". I wanted to leave a comment about a problem I am experiencing. When I manually make modification to the conf files, then make modification using the GUI, after I submit the changes on the GUI my manual modifications are overwritten. Have you ever expeienced this? Do you know how I can correct this so it will no longer happen? Luckily for me, I had fresh backups which allowed me to restore my manual changes… whewww. I am really get into this system, thanks to your wonderful tutorials. I look forward to seeing more to come in the future. I am working on the custom inbound route configurations and I would be happy to provide this information to you if needed. I feel it can help many current and future asterisk users! Hello… Thanks for your amazing blog/help. After I completed the intial setup. Everything seems to be working great. I can make outgoing and incoming calls. the Digital Receptionist works great! Now when I hit # to listen to the directory I get "NO DIRECTORY ENTRY MATCHED YOUR SEARCH" over and over and over and over again. What a fantastic job! My Asterisk@Home is up and running, and with features that I didn’t know existed until reading your blog. First off, Quick Thanks for this wonderful Asterisk@Home resource. It has been invalueble in setting up features in my "new toy". Secondly I would like to mention I had the same Issue Derek Ross mentioned with the "No Directory Entry Matched Your Search". After a few hours of net searching (to no avail), I dug into the extensions.conf and went looking for the problem. Turns out in the [app-directory] there are two extensions setup # and *411. In my case *411 would work and # would produce the error. There is a typo in one of the lines for the # extension where a letter o has appeared. That solved the issue for me right quick, and I am sure others will find it helpful. Lastly I would like to close with a question. After setting up the weather service to get my local weather (again thank you for this wonderful resource), I have been trying to change the default voice being used to by the tts engine reading the weather, with no success. Have you attempted this project yet? If so how well did it go? Thanks for a wonderfull article. I belive you should start creating this as a book. Many people would pay for such info. I was wondering if you can lead me to the right direction. I have 2 phone numbers I route one number to digital receptionist. How do I route second number directly to my extension bypassing digital receptionist. Nice, How can I get my wheather in South Africa / Other countries? Great blog. Found your blog while searching for more information at yahoo about invention submission . Your blog has quite a lot of interesting thoughts. Keep up the good work. Love the tutorials, these combined with some others for local (Australian) fixes are certainly providing me with a PABX system that does what I wanted/needed to do. is in the list of your local extensions. If you try and add the extensions in ext-local instead of the custom, next time you use the GUI to edit/add an extension it will remove them, so putting ‘ext-local-custom’ will keep them from being removed. Now your extensions can be called from either internal or external connections. Another tip is the downside to the above is that if your SIP/IAX2 connection that you?��Ǩ�Ѣre dialling out by is down, then your call won’t get through. So to add further redundancy to that, simply create another extension using the same info, but different provider and then create a ring roup and hunt between those 2 extensions. Does any one know how to change the language on the callme.php script? The default language is en, but I need it to be es. Thanks! How can I send voicemail to multiple email addresses? Fantastic blog! I was lost but this Blog’s step-by-step instructions make it doable! Thanks for running this site. NOAA also changed the names of the text files by zones instead of by city. It takes a second to find the right zone area you need to get the right text file(ie nyz010.txt is for BUFFALO NY). When I redirect the weather.agi script to new location it works, but the .txt file downloaded has two lines now to read per forcast; the second line with no preceding "." is skipped, festival only reads the first line with preceding "." and moves on to the next forecast. Can this be fixed to read the two lines in festival? but when my asterisk server restart then the zapata.conf come back to the default and my old config zapata.conf has been replace. my second question is about callerid, how you define a callerid on the zap trunk ..(for ex. call from outside world) how did asterisk get it’s number..
Once again Bravo..for this Blog..